School of Law and Constitutional Studies (SLCS) is a constituent department of Shobhit University and is approved by Bar Council of India. 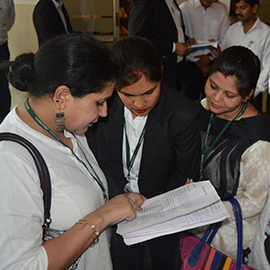 SLCS intends to introduce students to the study of law with an emphasis on the Indian Constitution. The school focuses on legal studies with an understanding on how constitutional rules affect political and economic processes. 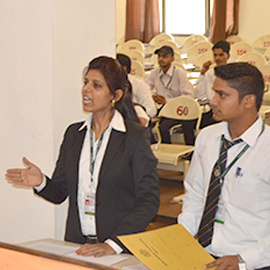 Students also study the theory, history, economics, and development of constitutional thought. They also learn about natural and civil rights, a market economy, a self-governing citizenry, voluntary associations, and the rule of law. The School was formally inaugurated by Shri Keshri Nath Tripathi Ji, H.E. 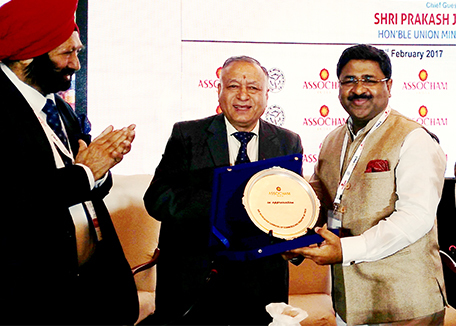 the Governor of West Bengal, and an emenient Advocate. 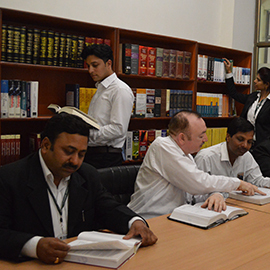 School of Law and Constitutional Studies seeks to prepare students for the practice of law in India. We must attempt to instill in every student a respect for the rule of law, a devotion to the ideal of public service, and a commitment to basic professional values: honesty, diligence, competence, intelligence, and civility. To achieve this the school seeks to promote multi-disciplinary analysis of the socio-legal problems by designing its course-structure and teaching methods to realize these objectives. The library forms the intellectual core of SLCS with a purpose of self-learning and discovery through research. The Law Library is one of the best libraries in the region, not just in terms of the number of titles, but in terms of capacity as well. 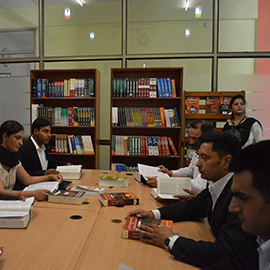 The library has a wide range of titles covering various fields of study ranging from law to social sciences, Humanities, Management and Commerce. Also have the subscriptions of leading newspapers, magazines and journals. The reference section of the library stocks complete volume sets of the most prestigious and well known journals and compilations in the field of law. SLCS initiated the Mentor-Mentee Program (MMP) as an informal channel of communication between the students and faculty members with an aim to help the students not only in academic field but also for their settlement in the university environment. Under this MMP program each faculty is appointed as a mentor over 10 students. The assigned mentors meets weekly or as required to their mentees to discuss the issue related to them and try to solve them by their own level. If the matter is non-academic in nature, the mentors are expected to escalate it to the appropriate authorities. 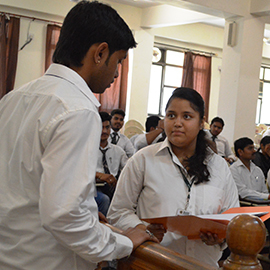 The Constitutional Law Club was established by the students of SLCS, under the guidance of Faculty of School of Law and Constitutional Studies. The Constitutional Law Club has conducts various events i.e. the Celebrations of the Constitutional Day, Human Rights Day and Various in-house seminars on Constitution and Debates. The School focuses on practical training/learning rather than theory to prepare its student as a good, skilled and confident future lawyer and to build the advocacy skills in them, the School has created a Student’s Moot Court Committee headed by a senior faculty member with the aim to aware them about the real court room environment, to enhance their critical analytical ability and to create a mooting culture among them so that they can be professionally enriched and fully equipped with a practical learning. A Center for Law and Good Governance was inaugurated on 11th April, 2015 by Hon’ble Governor of West Bengal, Bihar, Mizoram and Tripura Shri Keshari Nath Tripathi at a function held at Shobhit University. 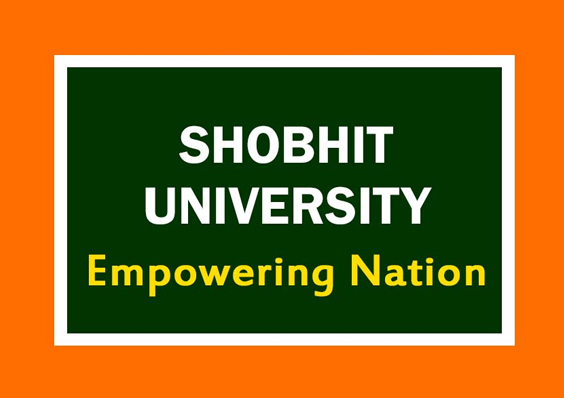 The center is a part of SLCS of Shobhit University, Meerut. The centre will reflect upon what kind of laws and systems of governance we have at the moment and what kind of laws and systems of governance we need and we need to do more to make India a great nation and Indian people a good citizenry and world a better place to live. To advise the center, a team of top legal luminary both from India as well as from other parts of the world have very kindly consisted to be on the advisory council of the center. Harvard and Oxford educated Supreme Court lawyer Dr. Surat Singh has been appointed as Chairman of the Center.